Friedrich Basedow and his brother-in-law Charles Barton established the Tanunda Deutsche Zeitung in 1863 when its competitor Sud Australische Zeitung moved to Adelaide. 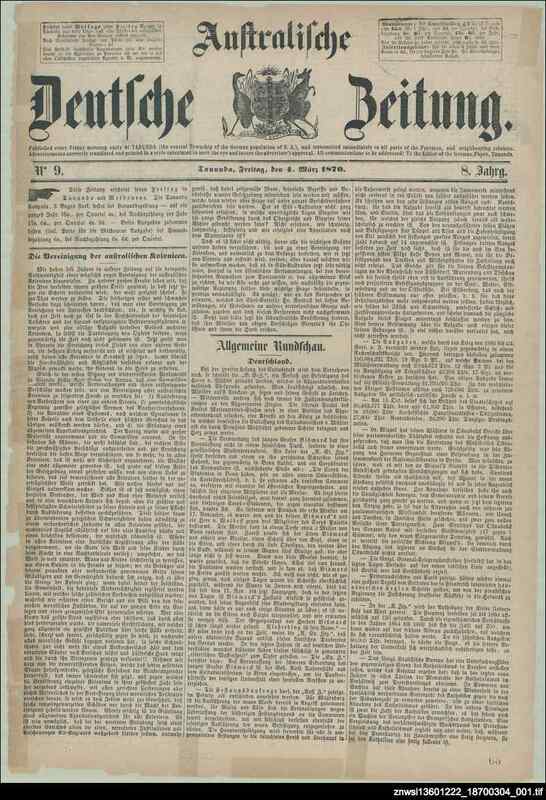 In 1870 the title was changed to Australische Deutsche Zeitung, in an attempt to widen its readership. The change of title also reflected the establishment of a Melbourne edition of the newspaper, printed between 1870 and 1872. Only one copy of the Melbourne edition is known to have survived, and no issues are held by the State Library. In 1875 the two competing German language newsapers combined to become the Australische Zeitung under the editorship of Carl Muecke.